The Brain Injury Foundation has a special arrangement with the REAL Santa Claus who sets aside a number of days coming up to Christmas when he is available to meet all the girls and boys in South Down and South Armagh. 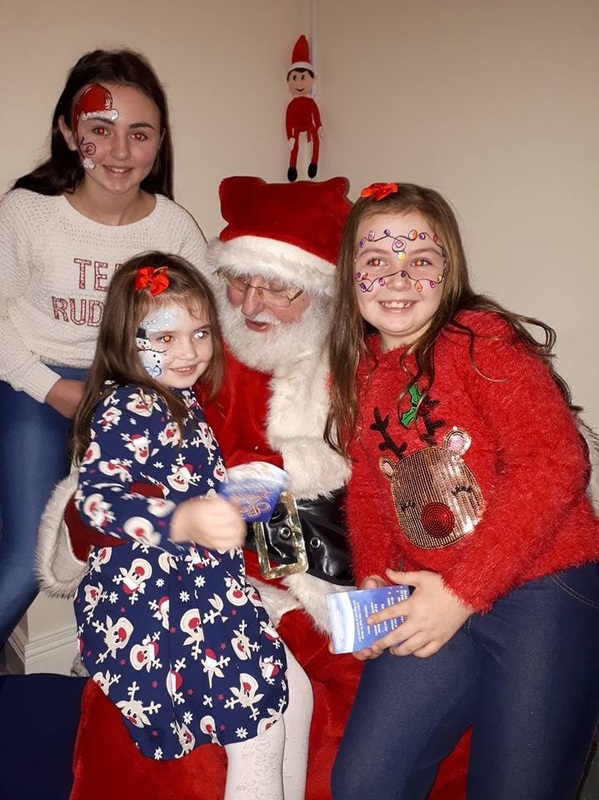 Santa’s first day this year was in Markethill last Friday night when he switched on the Christmas Lights and met all the children in the Courtroom Restaurant. 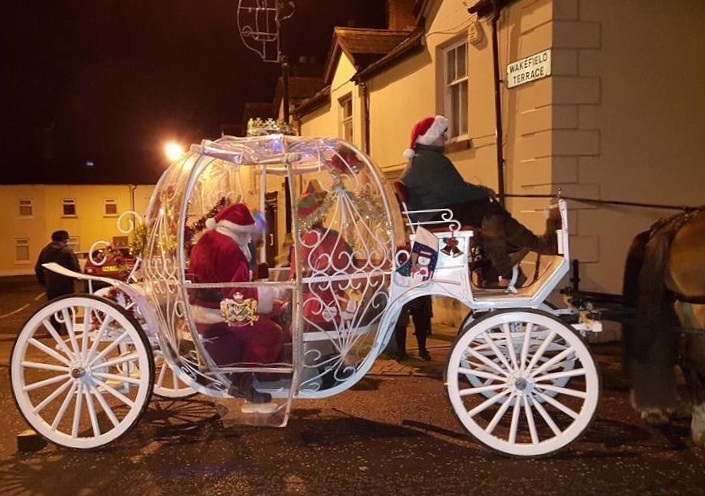 The next village to be visited will be Bessbrook on Thursday 29 November at 6pm when again Santa and his elves will switch on the lights. You can catch up then with Santa in Newry Market on Sunday 2 December at the annual Christmas Market where there will be sweets for children and opportunities to have photos taken. A very busy period starts then on 14 and 15 December when Santa will be at Santaland in Camlough. On the 14 Santaland is reserved for children with special needs and their families. As lots of special children attend it is best to book places. 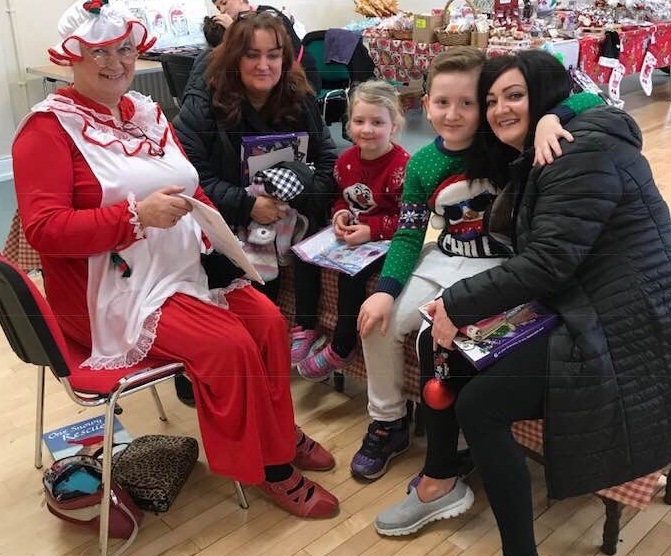 There is no charge for special children or their parents, who will be able to take part in art work with the Fairy Godmother, write and post a letter to Santa with a reply guaranteed, meet Mrs Claus and listen to stories, get free kiddy rides, meet characters like Spiderman, Mickey and Minnie Mouse and Minions. To top it all off, the children will meet Santa and his elves in his cottage, see his magic book of names, have their faces painted, ring his bell, have their photos taken and get a selection box. The next day, Saturday 15 December, Santaland is open again for all children and their parents and no booking is necessary. Rathore School then has the real Santa for a whole morning on Monday 19 December and all day on Saturday 22 December Santa will be at Tesco’s on the Downshire Road, Newry to meet all the children and let the mammies and daddies take photos. To make contact with Santa or his elves, mammies and daddies can phone 028 308 39943 during office hours.